RIPIO is an artist from Buenos Aires, Argentina. 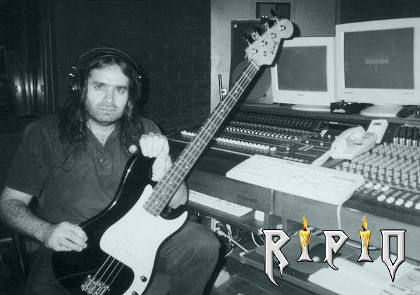 He played in a lot of bands like HANGAR 18 (heavy metal), KALPAS (power metal), CIANURO (thrash), GALPON 64 (punk), LA CICLOTIMICA (rock), etc. He has recorded 4 CDs with RIPIO. The 1st CD CONDENADO A VIVIR (CONDEMNED TO LIVE) was released in 2001, has 8 songs. In 2003, the 2nd one DURMIENDO EN LA CAMA DE LOS VIVOS (SLEEPING ON THE BED OF THE LIVE) with 10 tracks was out. After that in April 2006 the 3rd cd EN ALGUNA PARTE DE ESTE MUNDO...VOLVERE (IN SOME WHERE OF THIS WORLD... I WILL COME BACK) with 12 songs was released. 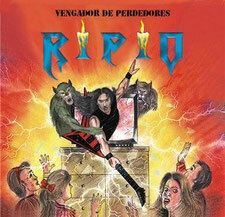 The fourth CD came in 2009 VENGADOR DE PERDEDORES (AVENGER OF LOOSERS) with 11 tracks and DVD includes photos, video clips of the recording and interview. This album comes with DVD with images of recording, interview with the technician, photos and video clip. It is now available at RIPIO website.